The 10th of April seems like a usual day, but it’s not in the USA where people celebrate National Encourage a Young Writer Day. The Unicheck team had been ready for that long before the holiday arrived. We successfully interviewed 6 young authors who mostly write atmospheric, romantic, lyrical or fantasy fiction. 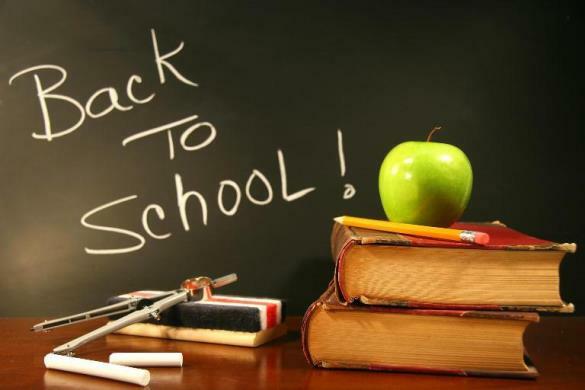 Most of them reveal the difficulties of writing their first books and most valuable life lessons they learnt. Although, there are far more details to consider if you want to gain confidence and write a terrific book. We intentionally put the same questions for you to explore the way writers’ opinions differ or overlap. So, continue reading and find out the peculiarities of compelling novel creation. What was the literary genre of your first composition? My fifth (also sixth and seventh) grade journals are full of mostly terrible poetry. My first attempts at stories were contemporary, but my first novel, written when I was 13-14, was a weird mix of sci-fi and fantasy, about a girl escaping a mob during the Salem witch trials, who discovers she’s really a princess from another planet with more advanced technology and magic. I’ve always been drawn to the uncanny. Most of my biggest writing struggles usually require time. I’ve found that when I’m blocked, it’s usually because something is wrong with the story and my subconscious knows it, but my conscious mind hasn’t figured it out yet. Often I have to take time away from the story to see it with fresh eyes–with BLOOD ROSE REBELLION, I ended up changing the timeline by about six months, but it took me a while and some additional feedback to see that the story needed those extra months cut. With the sequel, I got stuck about 75,000 words in and ended up having to replot the story so I could figure out where it went wrong. What have you learned after writing and finishing your first book? 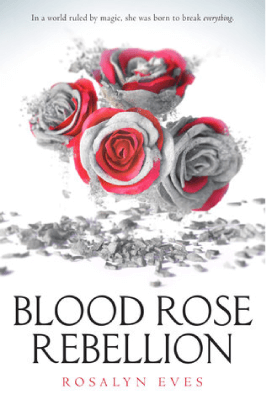 BLOOD ROSE REBELLION is my first published book, but it isn’t my first book (it’s technically my fifth or my seventh–depending on whether you count my high school epic fantasy monstrosity as one book or a trilogy). But even though I’d finished books before, there were things that surprised me. One was how many people it takes to write a polished book. Even though the words start out in my head, it takes lots of readers, editors, proofreaders, copy-editors and more to make the story really shine. The other thing I’m still learning to do is let go of the book when it’s finished–once the book is out there with readers, it’s not really mine any more. I’m trying to remember that reviews are really for other readers, and not for me, and work on writing the next book. Rosalyn Eves grew up in the Rocky Mountains, dividing her time between reading books and bossing her siblings into performing her dramatic scripts. As an adult, the telling and reading of stories is still one of her favorite things to do. When she’s not reading or writing, she enjoys spending time with her chemistry professor husband and three children, watching British period pieces, or hiking through the splendid landscape of southern Utah, where she lives. She dislikes housework on principle. BLOOD ROSE REBELLION is her first novel. I was nine! It was one of those assignments you look back at fondly and think, “Why hadn’t I declared my undying love for writing back then?” I suppose I did in some way because the passion for reading and writing always stuck with me. I ended up following my parents’ advice (not that I felt I had much choice!) and pursued pharmacy in college, but writing was always at the back of my mind. How I wish I still had those ten handwritten pages of my lost-treasure-on-a-deserted-island story! That short story in the fourth grade was a classic adventure thriller with pirates, a magic (if memory serves) key, and that deserted island with its lost treasure. 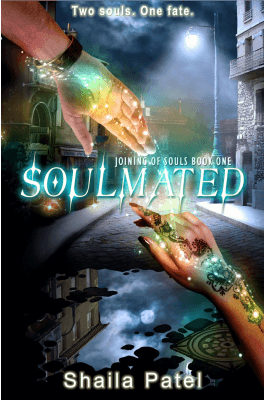 For my first published novel, Soulmated, I didn’t stray too far: young adult paranormal romance. My biggest writing struggle was my mindset. In my senior year of high school, my AP Literature class had inspired me so much that I’d wanted to write the next Great American Novel. Writing wasn’t a lucrative enough career choice for my parents, so I became a pharmacist and wrote literary short stories on the side. It was how I tried to fulfill the need to create, but years later, I realized I wasn’t passionate enough about the genre to craft an entire novel. Once I rid myself of the notion that a real writer didn’t write genre fiction, I finally wrote my first two novels in six months—a paranormal romance. It had consumed me like none of my other works since the fourth grade had. My struggle was simply accepting that I’d been failing at something for years because I needed to get out of my own way. Other than improving my craft, writing and finishing Soulmated has taught me a more important lesson about listening to my instincts. Realizing I’d been wrong about what my writing goals should’ve been was ground breaking for me. I now accept that the love I have for what I do is a direct result of listening to what my gut was telling me. It’s a shame it took twenty years! Thank you for having me! I was in second grade when I started writing my own stories. A friend and I would write about each other as our main characters, and then swap notebooks to see what the other had dreamed up. Even then, I wrote contemporary. Though, to be honest, I didn’t complete a full-length manuscript until I was 29 years old. It was a disaster – New Adult before the New Adult genre existed, and with paranormal elements when paranormal was the last thing anyone wanted. But I learned a ton about the publishing process, and myself as writer from that manuscript, and I wouldn’t change having written it. I really struggled with a fear of letting people read my work. When I first decided I was going to sit down and complete a novel, I didn’t tell a soul. Not even my husband. I was afraid of being laughed at, or worse, being told that my writing wasn’t good enough. But if there’s one thing you learn when you’re trying to get published, it’s that you’re going to face a LOT of competition, and a LOT of rejection. It’s essential to bring your A-game, and that means your work needs to be critiqued by people who can bring a fresh viewpoint when you as the author are too close to see the weak points. Once I realized that letting other people pick apart my manuscripts allowed me to make my stories stronger, the fear went away. I’ve learned so much as a published author. For starters, how important it is to do your research and be able to trust your editor and your agent. I’ve been incredibly lucky with both. I’ve also learned that getting your foot in the door is absolutely not a guarantee that everything you ever write will be published. 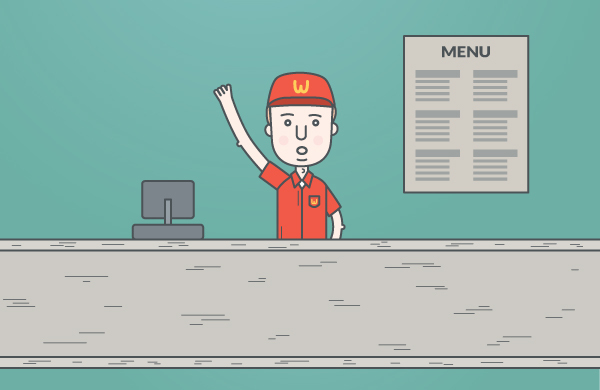 You will continue to face rejection throughout your career, and you just have to keep writing. But maybe one of the most important things I’ve learned (and I’m only half-joking when I say this) is that when people tell you not to read your reviews, LISTEN TO THEM. It’s not that constructive criticism isn’t worthwhile. It absolutely is. But when you stumble upon reviews that fail to separate the work from the author, and that attack you as a person, and that cut to the core of your deepest anxieties…. those reviews stay with you. So when you’ve edited your book to the point where you, your critique partners, your agent, and your editor are happily in love with it, do yourself a favor and leave well enough alone. You will never, ever be able to please everyone, and you can’t change your novel once it’s gone to print. So what sense does it make to constantly have the voices of your critics in your head? It doesn’t. Gina Ciocca graduated from the University of Connecticut with a degree in English. She lives in Georgia with her family. Gina is a member of the writing and blogging group YA Misfits and you can find her online at WritersBlog-Gina.Blogspot.com. 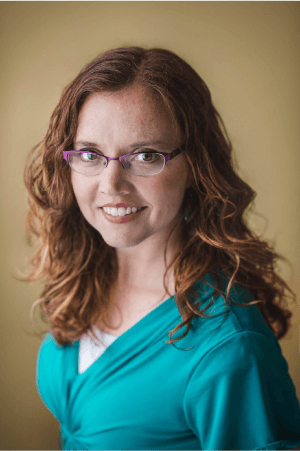 She is the author of Last Year’s Mistake, A Kiss in the Dark and Busted (Sourcebooks Fire, 2017). Respecter of the Fluff. Lover of love. The novel I wrote when I was thirty-three was an upmarket women’s fiction. I poured my heart into it, and it was full of some really sweet moments, but overall, it was a hot mess. However, it sparked my desire to really pursue being an author. I joined a writers group, strengthened my writing technique, and started over again with a YA fantasy/fairy-tale retelling that was published in 2015 by Evernight Teen. 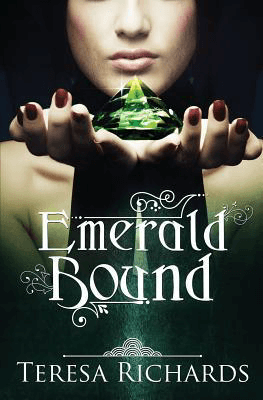 It’s called Emerald Bound, and it’s a dark retelling of The Princess and the Pea in which the pea is an enchanted, life-sucking emerald. Can I laugh out loud here? I think every writer has had numerous struggles, and I’ve for sure had my share of them. Learning to accept and incorporate constructive feedback, figuring out to resolve difficult plot issues, and juggling real-life demands with my desire to hole up and write all the time are among the struggles that I and many others have. The biggest struggle for me, however, has been the pursuit of publication. Sending out (and writing) query letters in search of an agent, keeping my spirits up in the face of rejection after rejection after rejection, staying positive when negative (and sometimes downright mean) reviews came in after my book was published, and keeping the magic alive in a business that is tough and very competitive has been the hardest for me. But I’ve learned so many things about myself in the process, maybe most importantly that I’m stronger than I ever gave myself credit for. Having a good support system in place has been key in getting through the tough times on the way to publication. Writers are awesome people–so supportive of each other and always willing to give freely of their advice, knowledge, and encouragement. My family has believed in me every step of the way, and I also have the support of my awesome agent, Mallory Brown, and the whole of Team Triada. Reaching out to the writing community has been instrumental in getting through my writing challenges. I’ve heard other writers say this, but I’ll say it too, because it’s true: It doesn’t get any easier. Writing is hard. Revising is hard. Marketing is hard. And putting yourself and your work out there is really scary. But if you’re crazy enough to love it in the first place, then it’s all worth it. One of the most rewarding things I’ve discovered since publishing my first book is how much I love doing school visits and talking with kids about writing. I love sharing my own stories with them and all the reasons why it took me until I was thirty-three to actually pursue this scary, scary thing called writing a book and trying to get it published. I wish I’d had someone telling me at that age that just because something was scary didn’t mean I shouldn’t do it. I love encouraging kids and I love witnessing the passion in a young person who loves to write. It’s so very rewarding. I can’t see myself doing anything else. Now she’s settled somewhere between coasts with her husband and five kids, and has realized that writing is her passion. 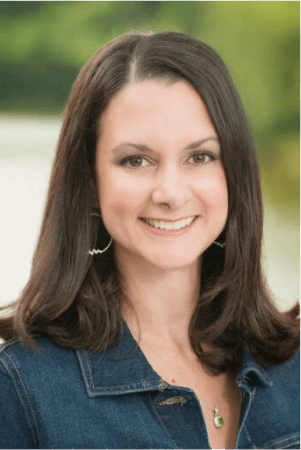 When Teresa’s not writing, she can be found chasing after one of her littles, driving one of her teens around, or hiding in the house with a treat she’s not planning to share. 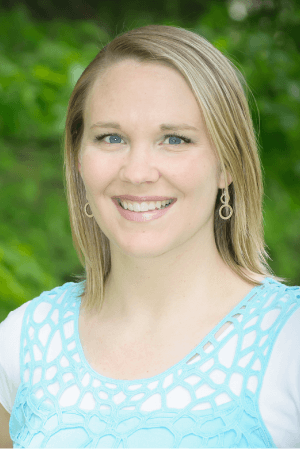 She is represented by Mallory Brown of Triada Literary Agency. You can visit Teresa’s website at authorteresarichards.com, and connect with her on twitter @BYUtm33, Facebook @AuthorTeresaRichards, or Instagram @authorteresarichards. I didn’t write my first, completed novel until I was eighteen, and only started writing fiction for myself the year before. I always loved storytelling, though, and had tried my hand at drawing, comics, animation, and video game design before deciding on the written word as my medium. For a long time I wondered if I’d ever be able to settle on one passion, but a few years and a few novels later, I’m still tapping away at the keyboard. 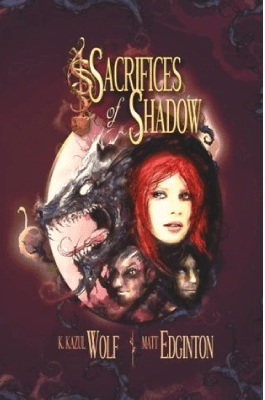 It was a sort of speculative fiction mashup, with a little bit of fantasy, paranormal, and horror thrown in for fun. I’ve always loved to experiment and play with genre, though nowadays I try to stay under the fantasy umbrella while doing so. Mashups are fun to write, but hard to sell! Well, one of the biggest hurdles in my writing career was getting dropped by my first agent for vague reasoning I still don’t entirely understand. 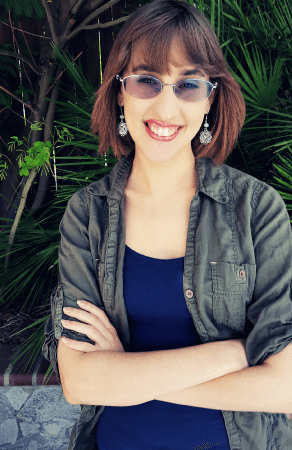 At first I was shaken, but getting by; I had built up a community of writers around me that were able to help me get up and get back to feet and start out querying other agents. But as time progressed, and I had little luck catching the interest of another agent, I began to lose hope. Not just in publishing, but in my writing itself. A lot of writing advice will tell you to try and separate yourself as best you can from the rejections and the publication process in general, but that can be easier said than done. 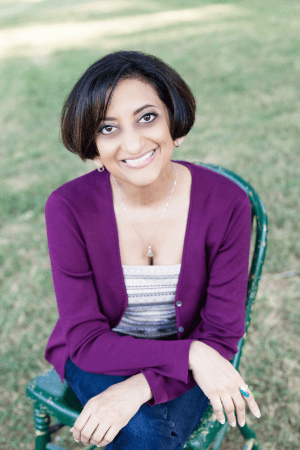 While I was scrambling to query and struggling with me next book, I had peers around me leaving their agents and getting new ones and moving on the get book deals. Eventually, right as I was about to give up on writing, I decided to send off a few last queries for my novel, then I backed away from social media and my writing communities. The distance helped me remember what I loved about writing, even if it was still hard not to feel inferior, and like my words weren’t pointless. But I did it, I got back to writing, and I even finished another novel. Once I finally thought I was done with publishing, well over a year since my first agent left me, that’s when my offer of representation from my awesome agent came in. Publishing can be a long and strenuous process with a lot of ups and downs no matter the route you choose—often more downs than up!—but is completely worth it in the end. There’s nothing quite as surreal and awing as holding a book you wrote in your hands. Kazul Wolf (aka Bacon) is a fantasy author, leegndrary typoer, chef of all trades, and a dragon that prefers capturing cats and dogs as opposed to princesses. You can find out more about her at her website. I wrote my first story when I was around six using an old Windows program called Paint, Write, and Play. Intended for children, the program allowed me to tell a short story over the course of several pages, combining art with text. I remember very little of the stories themselves, although I think one involved a killer whale as the protagonist. Most of my earliest stories involved talking animals, so I guess you could call them fantasy! Nowadays I write sci-fi stories involving sentient machines—they’re considerably less friendly than the animals, I’m afraid. Perfectionism is my biggest writing struggle and it’s something I battle every time I sit down to write. The best weapon in my fight against that nasty voice of doubt and self-criticism is persistence and setting achievable goals. While this may look different for everyone, for me it translates to writing a certain number of words every day—whether they’re good ones or not. There’s a saying in the writing community that I love: The muse has to find you working. You can’t wait for inspiration to hit, but if you’re already at your desk, there’s a much greater chance that you’ll find that fire you need. It also helps to remember that what ends up on the page will always be different, and usually more flawed, than the shiny idea in your head. That’s what revision is for! If there’s anything I’ve learned from writing books, what may seem impossible when you start will feel inevitable by the end. Discipline is the key to managing any writing project successfully. If you write every day or even every other day—regardless of the amount of pages you get written—you will build the momentum necessary to finish. Always keep in mind that everyone’s different: find the habits that work best for you. Hayley Stone has lived her entire life in sunny California, where the weather is usually perfect and nothing as exciting as a robot apocalypse ever happens. 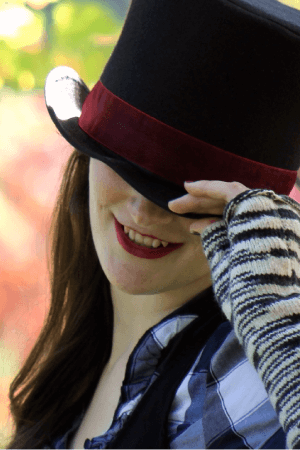 When not reading or writing, she freelances as an editor, falls in love with videogame characters, and analyzes buildings for velociraptor entry points. She holds a bachelor’s degree in history and a minor in German from California State University, Sacramento. 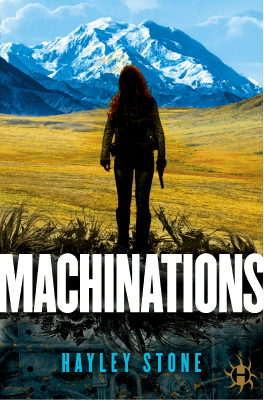 Machinations is her debut novel from Hydra/Random House and was selected as one of Amazon’s Best Sci-fi & Fantasy Books of 2016. Its sequel, Counterpart, was also chosen as one of Amazon’s Best Sci-fi & Fantasy Books for the month of October of that same year. 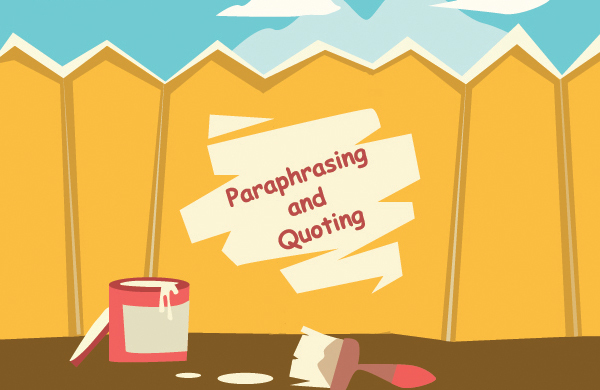 For more interviews with astonishingly creative writers follow this link.